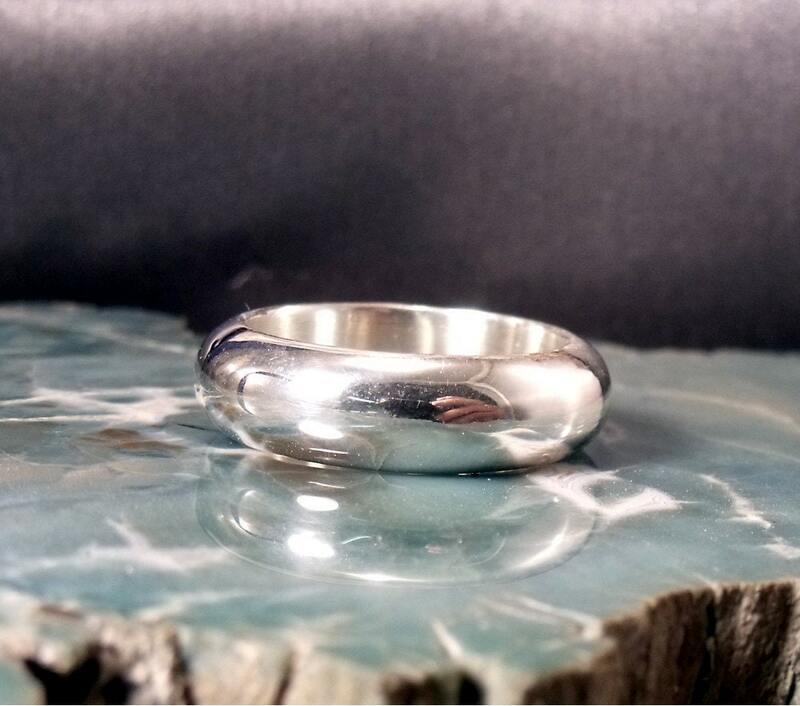 Sterling Silver hand crafted from recycled silver. I will make this traditional style wedding band in your size. It is just about 5mm wide and very durable. It is very comfortable to wear and goes with any other style ring. I can make matching bands or any combination of bands and finishes. I do this ring in Yellow color as well from jewelers bronze and it is the same price. I can do this ring in 14K yellow or white gold. Convo for price.